Editors Note: This is the first post in a two-part series on the history of NDP leadership conventions. The second part to this series will be posted tomorrow morning. NDP Leadership Race Logo. Fair Use. As the 2017 NDP leadership race concludes and results of the first round of voting are released on October 1, 2017 historians have a unique opportunity to reflect on past leadership conventions and examine the historical trends evident in past bids for leadership. This post will examine the 1971 and 1975 leadership conventions and part two of this series will examine the 1989 and 1995 conventions. An examination of these four leadership races provides insight into longstanding trends within the NDP’s electoral bases, policy divisions within the party, and the impact of insurgent leadership candidates on leadership races. For example, historically insurgent leadership candidates from the left have fared poorly in contests for the federal leadership of Canada’s left-wing party. 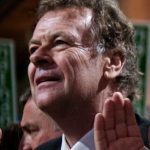 Additionally, despite federal and provincial electoral returns that rival Saskatchewan’s as the party most reliable provincial base of support, the NDP has never elected a leader from British Columbia. This trend is reflected in 2017 leadership candidate Peter Julian from BC who dropped out of the race after failing to gain momentum. This two part series will be diving into past leadership conventions as a way of looking at larger trends within the NDP leadership votes. The Waffle movement, which formed around the “Manifesto for an Independent and Socialist Canada” dominated the policy debates and media coverage of the 1971 race to replace to Tommy Douglas, the first leader of the federal NDP. Although David Lewis, the guiding force of the Co-operative Commonwealth Federation (CCF) and the chief architect behind the NDP’s formation in 1961, was widely expected to run for and win the NDP leadership, the 1971 leadership contest was closely contested. In addition, the race produced passionate debates over the issues of Quebec’s right to self-determination and the impact of the women’s liberation movement on the NDP. The Waffle first challenged the NDP by demanding at the 1969 convention that it adopt policy positions emphasizing public ownership as the only cure for American control of the Canadian economy. Despite the defeat of the “Waffle Manifesto”, the group continued to organize and challenge both provincial and federal NDP leaderships to adopt and, in the cases of provincial governments in Manitoba and Saskatchewan, enact left-wing policies. 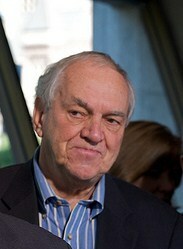 Ed Broadbent was the first of five contestants in the race to replace Douglas, indicating that his campaign would focus on issues of full employment, control over foreign investment, government policy on science, and Broadbent’s fixation, industrial democracy. Because he was only thirty-four years old, the press focused on Broadbent’s youth, his perceived intellectualism, and suggested that he appeared “ideologically closer” to the Waffle than other potential leadership candidates. John Harney became the second candidate to enter the race in November 1970. Although he did not hold a seat in Parliament and did not have any support from federal caucus, the press perceived the thirty-nine year old Harney as an attractive candidate, describing him as “bilingual, articulate and contemporary”. Harney explained that, under his leadership, the NDP would move to the left, emphasizing the need to attract support from the urban and rural poor in addition to the workers, intellectuals, and progressive middle-class that already supported the party. 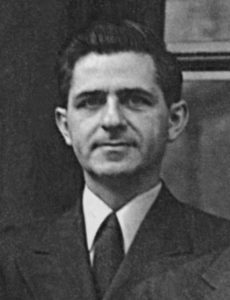 A cropped close up of David Lewis from the September 1944 Commonwealth Labour Parties conference . The Waffle committed to a collectively run campaign and ultimately selected twenty-nine year old History lecturer James Laxer as their candidate, and as Laxer recalls, “I was as much the representative of the Waffle movement’s ideas as an actual candidate for the leadership of the party,” suggesting that the Waffle aimed primarily at influencing party policy. By the time Lewis, Broadbent, Harney, Laxer and Howard began a tour of Canadian cities for a series of twenty public debates in February, clear policy divisions had emerged between the five leadership candidates. More than any other issue, the Waffle’s position on Quebec polarized the NDP leadership race. In January 1971, Laxer released the five resolutions regarding Quebec the Waffle proposed for the upcoming NDP convention, including a commitment to support Quebec’s right to self-determination and a commitment from the NDP to build “a people’s alliance” between English Canadian and Quebec socialists. 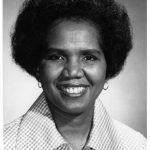 Following Lewis’s resignation in the aftermath of his defeat in the 1974 election alongside the party’s loss of fifteen seats, the federal NDP again sought a new leader in 1975. Despite holding power in three provinces, the media perceived the federal NDP to be in the doldrums, a belief confirmed by the lack of interest in the federal leadership by any of the three provincial premiers, Allan Blakeney, Ed Schreyer and Dave Barrett and the party’s interim leader, Ed Broadbent, declaring in January 1975 that we would not seek to replace Lewis as party leader. John Harney had finished ahead of Broadbent in the 1971 leadership election and his 1975 leadership campaign again focused on the importance of the NDP appealing to Quebec and portrayed himself as the only candidate capable of doing so. 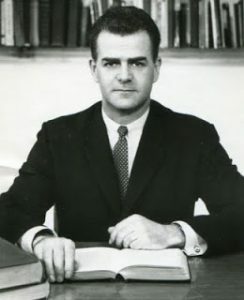 The youngest candidate in the contest at twenty-nine years old, Lorne Nystrom had first been elected in the rural Saskatchewan riding of Yorkton-Melville in 1968. Despite Nystrom’s youth, he failed to generate much enthusiasm among New Democrats seeking an exciting, radical voice as party leader and many believed he was laying the groundwork for a future leadership bid. Although the NDP fared extremely poorly in Quebec until 2011, and had a provincial membership far below that in much smaller provinces, contemporary issues about Quebec’s place in Confederation have featured prominently in the NDP’s leadership races. For example, in 1971 the issue of Quebec’s right to self-determination and the party’s willingness to vocally endorse this right was the central issue in the debate between front-runner David Lewis and left insurgent candidate James Laxer. Editor’s Note: Tomorrow we’ll be back with the second part of this series. Tomorrow’s post will include observations on the 1985 & 1995 leadership conventions and a wrap-up of the historical trends that might apply to the 2017 race. “Nine MPs support Lewis for leadership,” Globe and Mail, December 3, 1970, 3. Laxer, In Search of a New Left, 157. “Ultra-nationalism termed no answer: Reject ‘out of touch’ Waffle group, Howard urges NDP,” Globe and Mail, January 23, 1971. “NDP requires 4 ballots to elect Lewis as leader,” Globe and Mail, April 26, 1971, A1-2. Morton, The NDP: the Dream of Power, 128. Hugh Winsor, “Making commitment produce votes first challenge facing new leader,” Globe and Mail, July 8, 1975, 8.